Myanmar traditionally known as Burma is a country possessing rich history, culture, custom or tradition. It has numerous tourist attractions, with many undiscovered tourist attractions which are yet to explore. Many of Myanmar's popular tourist attractions are familiar to many tourists all over the world. There are so many amazing and fun things to do in Myanmar. And if you need help deciding what to do on your vacation, check-out some of the favorite attractions and activities. This is probably the most illustrious tourist attraction in Myanmar. It is considered the oldest pagoda on earth that represents the center of Buddhism in Myanmar. It is believed that this pagoda had been covered in 30 tons of gold including huge number of gems and jewelry buried in it. You will find wide collection of best arts and crafts related to Myanmar and many of the shrines are decorated in rare, priceless sculptures and wood carvings. Bagan is called the "Land of Thousand Pagodas" You can consider Bagan as the ancient capital of Myanmar which has more than 2,000 ancient pagodas scattered all over the place. Bagan is the most visited place in Myanmar, because of its religious significance. It is believed to be the capital built in the 9thcentury AD and stayed as the capital of Myanmar nearly 200 years. During this period many monarchs, queens, princes, nobles including ordinary citizens had built thousands of large and small pagodas, beautifully decorated with fine art and mural paintings. You will see many of these spectacular and huge pagodas and temples still exist, demonstrating its greatness. Visiting Bagan, you will appreciate the beautiful architecture and art of ancient Myanmar. This is called the Golden Rock in Myanmar. It is a large natural rock covered in gold. It is a well known tourist destination for many foreign tourists until the recent past. Kyaikhtiyo still considered as one of the most sacred destinations in Myanmar. Many Buddhists devotees coming from Myanmar, China, Thailand, Laos and many others believe that Kyaikhtiyo Golden Rock has magical or divine powers. The golden rock is opened to visitors during the dry season and it is accessible from Yangon or Rangoon by bus or car. Mandalay seemed to be the last capital of Myanmar or Burma. It is the second largest city in Myanmar and still believed to be the cultural center of Myanmar. This is an exciting place for the art and cultural buffs looking for traditional art and craftsmanship. Although number of traditional artists and craftsman are on the decline, numerous Myanmar's traditional artists, sculptors, liquor ware artists, bronze-smiths, and tapestry artists still exist in Madalay. The famous Buddha Image, Mahamuni, is located in Mandalay Myanmar. It is well known that the stone inscription of Tri-pitaka is located at the base of Madalay Hill. The Inle Lake called as the "Sea in the mountains' is located over the Shan State Highland. It is the habitat for thousands of Inthas. The Inthas tribe live in houses built over water and they greatly depend on the lake for their livelihood. It's an ideal location to visit by the environmental concerned traveller, he or she will see the balance between man and the environment. You can get great photo opportunities, especially the images of Inthas rowing the boats with their feet. You can hire a boat exploring the lake while visiting many villages in the lake including incredible floating market and the floating Phaungdawoo Pagoda. If you visit during September or early October, you can watch the popular boat races of Inthas. Yangon is situated in the fertile delta country of southern Myanmar on the Yangon River. Today the city is an important cultural centre as well as a very active commercial port. Besides above, Myanmar has many tourist attractions, however the above places will definitely make the first time traveller happy and excited. There are lot of places to visit for anyone who has never been to Myanmar before. All depends on the visitors interests or likings or hobbies. It varies from one person to another. If you do not have enough time to visit remote places of Myanmar, other than Yangon, it is better to visit the Shwedagon Pagoda or a visit other interesting places in the city. Visitors can observe the Buddhist devotees from all backgrounds who have come to worship Shwedagon Pagoda. You will see many devotees offering fresh flowers, pouring holy water, burning incense sticks and candles. The 15 km long white sand beach with palm trees is a popular place for tourists. There are many cheap accommodation and guest houses in Ngewe Saung town. When you visit Ngwe Saung, you will come across a small tourist village selling cheap souvenirs and delicious seafood. During low tide the beach is accessible to many islands. The package tours are available with accommodation to Ngwe saung but you can visit this beautiful beach resort on your own, few hours from Yangon. Be ready to experience six hour travel along a bumpy road. It is the premium market for tourists arriving or departing Myanmar. This is the best place not only for shopping but also trading your foreign currency at much better rate. However, be sure to count your money and calculate the exchanged amounts yourself. Once you change your dollars to local currency, this market is the best place to buy jewelry, antiques and crafts. According to latest travel information, Myanmar is becoming a great tourist destination for the traveler. It is becoming or known as one of the hot tourist spots in the world. Also, it seems to be a safest destination for foreigners as it has the lowest tourist crime rates in the world. So you can relax and have peace of mind when you visit Myanmar. Wherever you go in Myanmar, whether it be cruising down the mighty Ayeyarwaddy River in style, drifting over the ancient city of Bagan by hot air balloon, or searching for that elusive tiger on the back of an elephant, there is always a feeling of adventure. A valid Passport with Entry Visa is required of all visitors. A Tourist Visa allows a stay of 28 days. A valid passport with Entry visa is required for all businessmen, applicable at Myanmar Embassies and Consulate General Offices abroad. The best time of year to visit Myanmar is during the cool season. There are three seasons in Myanmar: the hot season, the Monsoon season, and the cool season. The hot season in Myanmar lasts from early March to late May, the Monsoon season in Myanmar runs from the late May to mid October, and the cool season in Myanmar runs from late October to late February. The best time to visit Myanmar is the cool season, as temperatures can climb very high in the hot season and the rains can interrupt sightseeing in Myanmar’s Monsoon season. Now, Myanmar gradually becoming a safe destination for foreign tourists, its pristine and clean beaches, unique cultural attractions, snowcapped mountains and forest wilderness are rapidly becoming attractive for the enthusiastic traveller. Bhutan, officially the Kingdom of Bhutan is a beautiful country with green valleys, snow capped peaks, cool climate and appealing heritage, and culture. This impressive country is bordering the Indian State of Arunachal Pradesh in the East, Nepal in the West, and Tibet in the North. Bhutan is popularly known as the last Sanghri la or the ideal paradise on the earth. This tiny country or the Bhutan Kingdom offers many attractions to the tourists, from snowcapped mountain peaks to cultural and historical relics, to spectacular landscapes. Today Bhutan is slowly becoming a great tourist destination for many tourists. Bhutan has mystical landscapes that are yet to explore and has become a preferred tourist destination for the inquisitive and adventurous traveller. You will never be in short of activities when you are in Bhutan. The breathtaking valleys, the ancient temples, handicraft emporiums and monasteries are some of the popular attractions among the tourists. Punakha located in east of Bhutan depicts the beauty of eastern Himalayan range. For culture buffs, National Museum located in Central Bhutan is a good place to visit. Also, visiting historic temple at Kurje Lhakhang near Bumthang, then the oldest shrine in Kyichu Lhakhang in central Bhutan will help you to understand the fascinating and unique cultural heritage that existed in ancient Bhutan. For many visiting tourists, Thimpu and Paro Valley have been the most popular tourist attractions in Bhutan. The capital of Bhutan is Thimpu is the capital and it depicts the old historical identity with less modernization. The city Paro is the most developed city of Bhutan. Paro is a beautiful city surrounded by natural landscape and it is called the Paro Valley which posses many historical monuments which explain a lot about the heritage of Bhutan. Close to majestic Himalayan Mountain range, Bhutan has many sensational mountain views and unique terrain, unbelievable scenic beauty and an exceptional culture and lifestyle. Any discerning traveller looking for attractions, he will not be disappointed as he can witness gorges Buddhist monasteries, fine crafts and majestically carved wooden houses. One should travel to Bhutan, so that he will have a delightful and a memorable vacation in the country which still retains its age-old traditions in the contemporary world. You can enjoy the rich cultural heritage of Bhutan with its beautiful natural environment. Similar to other South Asian Countries, Bhutan's people are deeply associated with their age-long customs and festivals with huge fanfare and pageant. These festival not only bring smile on their faces but also make them closely united. Many festivals are celebrated throughout the year and these festivals are associated with dance, sing and eat, and follow plethora of customs. It's a delightful, and a spectacular sight when Bhutanese participate at these colorful festivals. As we know, Bhutan is blessed with a land of mountains. It is therefore a trekking is a popular sport in Bhutan. There are many number of treks and guided tours which bring lot of joy and excitement to discerning traveller looking for adventure. It is well known, trekking in Bhutan. brings fun and thrill. This is a prominent place in Bhutan which house some of the country's oldest temples and monasteries. Bhutan's only airport is located in Paro Valley. It is one of the most fertile lands in the country that produces the popular red rice from its picturesque terraced fields. This is located at an elevation of 2,300 meters above mean sea level. The main secretariat building called Taschichho Dzong is located in this valley. Also, Thimpu Valley houses the throne rooms of the King and the summer retreat of the central monk body. Wangdi dzong was built in the 17th century and it is situated at an altitude of 1,350 meters to the south of Punakha, at the convergence of Punakhachu and Tang-chu Rivers. This is a sought after place by tourists and it has rich pastureland for cattle. Tongsa boasts vast expanse of spectacular and fascinating landscape that will delight you. This valley is located at an elevation of 2,600 meters to the east of Tongsa. This is known as the religious hub of Bhutan that houses some of the oldest Buddhist temples in the world. One visiting this place will realize how traditional Bhutanese architecture has continued to preserve or prosper throughout the centuries. Bhutan is a popular destination or a paradise for many botanists. It has a rich and diverse variety of the floral species such as Rhododendrons, Junipers, magnolias, rare orchids, carnivorous plants, blue poppy (the national flower), edelweiss, gentian, medicinal plants, Daphne, giant rhubarb, high-altitude plants, tropical trees, pine and oak. For the discerning wild life enthusiast will have the opportunity to see some of the worlds endemic and exotic faunas or animals found in Bhutan. The rare animals that are available are: golden langur, red pandas, black-necked crane, snow leopard, takin, musk deer, Himalayan brown bear, Himalayan marten, tiger, hornbills, pheasants, mountain goats and timid blue sheep. 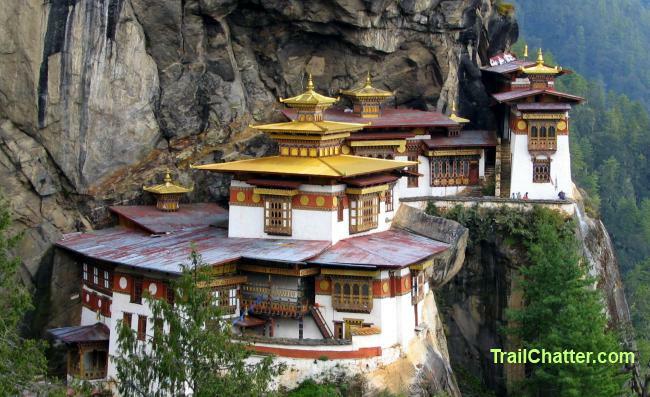 There are many tourist attractions in Bhutan and it is a never ending list. You will certainly get a chance to visit the most breathtaking and amazing natural and man made attractions on your visit to Bhutan. A rare treat is awaiting for the discerning traveller and Bhutan is one of the attractive destination for any visitor any time of the year. Do not forget to take your camera, there are many memorable and exciting photo opportunities to capture on your visit. Beginning August 2010, a new commercial flight entered Bhutan. Known as the Buddha Airlines, it has now begun operation between Kathmandu, Nepal and Paro, Bhutan. It is currently run on an 18-seater, twin propelled aircraft. The fares are relatively lower as compared to the fares charged by Druk Air and currently operate four flights a week which it plans to go daily with the full flow of tourists visiting Bhutan. It has also plans to link Paro airport with the Indian cities of Bagdogra, Guwahati and Kolkatta in India and even Dhaka, Bangladesh. Gelephu in South-Central Bhutan is another entry point to Bhutan. It is approximately 250 kms from Thimphu and the journey will take you through the sub-tropical areas of Bhutan before entering the alpine zone and then finally into Thimphu. One will have to traverse across three Dzongkhags and the travel time will be about ten hours. Samdrup Jongkhar is the only entry point in eastern Bhutan. The town borders the Indian district of Darranga, Assam and is approximately 150 kms away from Guwahati, the capital city of Assam. The journey from Guwahati is about three hours. Tourists entering Bhutan through Samdrup Jongkhar will take you to Trashigang, the largest Dzongkhag in the country, and from there over the lateral route to Mongar, Bumthang, Trongsa, Wangde Phodrang and then finally into Thimphu. The distance is about 700 kms and will take you a minimum of three days to reach Thimphu. If you are looking for a memorable holiday and breaking your head finding a suitable place in the mystical South Asia? 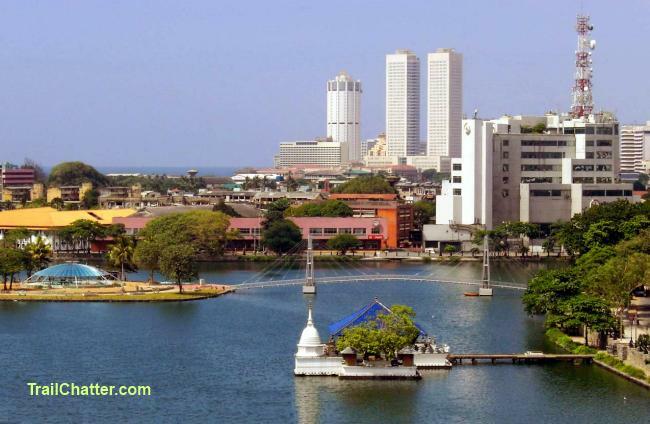 Then the ideal place to visit is Colombo, Sri Lanka. Once you discover Sri Lanka, like the hidden treasures, you will certainly keep on coming to explore the places of interest Sri Lanka has to offer. Colombo was once known as the garden city and one of the greenest cities in the East. Even today, if you explore the city from the air, you will see the pockets of green that still present despite the rapid development. Colombo, the green city is covered with shaded trees, clean parks, safe recreation places for children, and lakeside esplanades. Anyone taking a walk will realize how much nature Colombo has to offer for the resident or the visitor, and how easily accessible its flora and fauna are. The visitor who is ecologically aware can explore the natural beauty of Colombo and certainly he or she will be amply rewarded. Colombo can be a fascinating place and has many attractions to offer for people visiting on business or as a part of a stopover with a tight schedule. If you have few hours or a day to spare, visiting the Elephant Orphanage at Pinnewela, few hours from Colombo is a good idea. For the nature lover, it will be a memorable visit with many photo opportunities involving baby and matured elephants. Even you can have an exciting elephant ride. If you enjoy the beaches or the coast, take a trip along the Galle Road heading south from Colombo. Perhaps visiting Kalutara, which has a spectacular Temple. If you have a full day to spend, you can go further south visiting the splendid beach at Bentota or maybe up to Galle for a visit of the ramparts of the magnificent Dutch Fort built in the 17th Century. There are many places worth stopping along the way. You will noticed how quickly this part of Sri Lanka has 'bounced back' after the devastating tsunami. The north of Colombo is the Fort which was the centre of Dutch and Portuguese, you can still view some of the Colonial Architecture. Today, Fort is the Banking and Commercial Centre of Colombo with many leading commercial banks, and the Colombo Port is located. Sri Lanka's twin towers located in this area next to five-star Hilton, Ceylon Continental and Galadari hotels. Little further away from Fort, a place called Pettah is located. It's a highly commercial place with hustle and bustle, where you can strike a bargain on a shopping item. You will find the famous Galle Face Green towards the south of Fort, Colombo. It was a popular place for horse racing during British rule in 1859. Today, it's truly a popular playground and a recreational place for Sri Lankans. During the weekend, especially in the evening, the Galle Face Green is crowded with kite flyers, cricket players, picnic eaters, day trippers, and lovers. A visitor to Galle Face Green gives him an idea of the private and domestic life style of a typical Sri Lankan family. Immediately next to Gall face Green, you will find Raffles-like, Galle Face Hotel. You can enjoy sipping tea on the verandah of this beautiful old hotel while enjoying a spectacular sunset. The Sima Malaka Meditation Island together with Gangaramaya Buddhist temple is located at Slave Island. It will be a perfect retreat for visitors looking to avoid the busy city. The Gangaramaya mother temple was built in the 19th century and has a small museum, Buddhist paintings and stone carvings. Just few minutes from Galle Face Green, towards the South, you will find Crescat Boulevard, the country's popular shopping centre It is managed by renown, Colombo Plaza Hotel. If you are interested in experiencing Sri Lankan cuisine or food with cosmopolitan flavor, there are many restaurants to choose. The very famous names such as Barista, Nandos, Deli France, Pizza Hut, McDonalds and many more located at Crescat Boulevard. If you want to taste an authentic Sri Lankan rice and curry, just pop into Renuka Hotel to enjoy a sumptuous buffet. Visitors who are in interested in wildlife and who have come with their kids, enjoy a day out at Dehiwala Zoo located south of Colombo. You have the opportunity to see hundreds of birds, animals and snakes living in simulated natural environments. The Kids will really enjoy this and it will be a memorable one. The Dehiwala Zoo is one of the best and largest Zoos in Asia. The Zoo has a fine collection of animals species, Sri Lanka's fauna and an a massive aquarium with 500 varieties of aquatic life. Also, it has a walk through aviary, a butterfly park, reptile enclosures, and daily elephant show which kids love to see. Few minutes away from the Dehiwela zoo, you will find Mount Lavinia, where famous Mount Lavinia Hotel and wide variety of beach restaurants are located. If you are looking for sea air and refreshment on the beach, it is the nearest place to the city to visit. The national museum displays Sri Lanka's exotic flora and fauna, as well as variety of fossils. On the rear of the building, a botanical forest is located.This museum was established in 1877, and it houses many arrays of national treasures, cultural relics, and archeological artifacts coming from all parts of the world. Also, it has a well preserved library of 4000 ancient palm leaf manuscripts. 1. Visit Royal Colombo Golf Club which has attracted golfers for 129 years and enjoy a round of golf. It has a splendid and well laid green top for the discerning golfer to enjoy a round of golf. 2. Take a short trip to Negombo which is 37 km from Colombo. Here, you can find great hotels and pristine beaches, and it's an ideal stopover for a visitor coming in or leaving the country. 3. Enjoy some seafood on the Mt Lavinia Beach which houses great seafood restaurants on the golden beach. 4. Indulge in last minute shopping at many sleek department stores and shopping malls having variety of designer clothing, shoes, handbags, and handicrafts and many more. 6. Spend a day at the Leisure World. This is Sri Lanka's premium amusement and water park offering roller coasters, log flumes, and many varieties of thrilling rides for kids as well as adults. 7. Enjoy the nightlife by visiting a chill-out bar, or a casino if you want to have some excitement by playing roulette or baccarat or blackjack, or a night club where you can party until dawn. 8.Try ever popular kothu rotti, Sri Lanka's popular snack with bits of rotti mixed with chicken or beaf or egg, onions, tomatoes and green chillies. Besides above, there are many attractions that Colombo can offer, So Visit Colombo, you are certain to have a memorable and enjoyable stay. Mexico has over five thousand miles of beaches, which along with its tropical climate attract the majority of vacationers to this enchanting country. Although many seaside resorts are popular, the leading vacation destinations are located along tor near the Riviera Maya on the Caribbean coast or the Mexican Riviera on the Pacific coast of Mexico. Planning your next trip to Mexico? Be ready for more crowds, noise, bustle and poverty than you're accustomed to, Invest a little time before your trip in learning even just a few phrases of Spanish – every word you know will make your trip that little bit easier and more enjoyable. From the tourist’s point of view, there are three Mexico’s that attract attention. The most popular of these is the Yucatan peninsula, which encompasses the delightful area that has come to be known as the Riviera Maya by some and Caribbean Riviera by others. Including Cancun, Playa del Carmen, Tulum and other gorgeous beach towns and islands (such as Cozumel), the Riviera Maya is known for its majestic, white-sand beaches, warm sunny weather and Mayan ruins. The second most popular area of Mexico is known as the Mexican Riviera, a delightful swath of beaches spanning over 2,000 miles of the Pacific coast between Ensenada and Acapulco. The distances separating the major resort areas are great and, as a result, the leading resort towns are not likely to be explored during in a single vacation. In some ways the concept of the Mexican Riviera is marketing-speak coined by the Mexican government and eagerly adopted by cruise lines, since the best way to sample this beautiful and enchanting region is see it during a cruise. Although there are a number of great vacation spots for cruise itineraries, best places of attraction are Cabo San Lucas, the Puerto Vallarta area and the Ixtapa. The third Mexico runs down the center of the country and includes Copper Canyon, Morelia and Mexico City. Although each location is attractive to many travelers, most visitors to Mexico will focus on the Caribbean or Pacific shores of this interesting country. Mexico is an enchanting country, but one that is troubled by drug gangs and their battle with each other and the government. Independent travel in Mexico, outside of the established tourist zones, is not recommended at this time. However, there remain some great ways to explore the famous hospitality of Mexico. Capital of the Republic, one of the three largest cities in the world, and a sophisticated urban hub with a 700-year history. With its exciting nightlife and fascinating things to do and see, Mexico City is an energetic metropolis and an incredible place to visit for both business and leisure travelers. Mexico City should be on your "must visit" list if you are a fan of world-class museums, archeological treasures, international cuisine, incredible shopping experiences, stately mansions, colonial neighborhoods, dazzling nightlife, inviting plazas and beautiful city parks. The National Museum of Anthropology is one of the world's greatest museums and could easily fill a short Mexico City vacation by itself. Acapulco is a world renowned synonym for relaxation and fun. The exotic mix of golden beaches, Sierra Madre Mountains, tropical jungles and lagoons, along with Mexican warmth, mysticism and tradition are perfectly combined for a very unique experience. Cancun is the ideal place to enjoy sun and beach, an extensive array of shopping opportunities and its renowned nightlife. Cancun also is the optimal starting point for you to explore coral reefs, jungles and archaeological sites of the old Mayan world. Chichén Itzá, in Yucatan state, is the best preserved and most famous of the Mayan ruins in Mexico. It is considered one the greatest Mayan-Toltec centers in the Yucatan Peninsula and at only 90 miles from Cancun, it is a popular day trip. Playa del Carmen is a stunningly beautiful, vibrant part of the Mayan World located on the pristine Caribbean coast of Mexico. The capital of the Riviera Maya, Playa del Carmen has evolved from, originally a small village of Mayan pilgrims, into a lively, cosmopolitan city with the highest urban growth in the country. On the eastern side of the idyllic state of Quintana Roo you'll find the Riviera Maya, a new tourist destination comprising well over 75 miles of the most beautiful beaches in the world. The Riviera Maya is the coastline that starts at Puerto Morelos and ends in the picturesque fishing village of Punta Allen. When you think of the Mexican Riviera, with its palm-fringed beaches, luxuriant jungle vegetation and incredible resorts, many places come to mind. But no resort typifies better the classic Mexican beach vacation than Puerto Vallarta does. It has now become the sixth most popular travel destination in the world. Offering an extremely wide variety of attractions and entertainment options, Puerto Vallarta has something special for everyone, regardless of your personal preferences. Los Cabos is located on the tip of the state of Baja California, an area surrounded by arid desert, golden beaches and turquoise waters. A lively, fast-growing destination, Los Cabos offers spectacular championship golf courses, exceptional sport fishing, endless possibilities for diving and snorkeling and superb shopping and entertainment. Offshore from the Riviera Maya, the Island of Cozumel offers romantic beaches and a relaxing environment. Scuba or dive here if you get the chance, as this is a highlight of visit to this island. A traditional city, capital of Jalisco state, and the home of mariachi music and tequila. Guadalajara is blessed with perpetual spring weather and its colonial downtown is graceful and sophisticated. Lively Pacific coast town, Mazatlan is a shipping port, a transportation hub with ferries to Baja California, and a beach resort destination with miles of sandy shore. It is a popular Spring Break destination due to its variety of affordable lodging options. A large modern city that is the commercial and industrial hub of Northern Mexico. Monterrey enjoys a dry, mountainous setting and is known for its high-quality educational and transportation infrastructure. Located in central Mexico, a colonial city that was once an important silver producer, but today, relies on manufacturing for its economic base. In central Mexico west of Cuernavaca, this nice steep mountain town was once a major silver producer, and now has a strong place in the trade of decorative silver, from cheap fittings to the most elegant jewelry and elaborate castings. Mexico's busiest border crossing for pedestrians and private vehicles, and a long-time bargain Mecca for southern Californians due to its proximity with San Diego. An exotic destination for travellers looking for a unique remote adventure! An awesome mountain rail ride --- one of the greatest in the world --- takes you upwards over 8000 feet on the CHEPE, the Chihuahua al Pacifico Railway. Hiking, horseback riding, birding, and Tarahumara Indians. Copper Canyon, the Sierra Madre and the Chihuahuan desert of Mexico. This area is designed for adventurous individuals who will tolerate some rough travel to get to their point(s) of interest. Copper Canyon, a magnificent remote wilderness is not likely ever to become a mass market destination. Chichen Itza is the second most visited archeological site of Mexico today. Recently voted as one of the new 7 Wonders of the World, the ruins of Chichen Itza lie about midway between Cancun and Merida. Majestic Mayan city, declared a UNESCO World Heritage Site in 1988 and recently voted as one of the New Seven Wonders of the World. Recently reconstructed Mayan site, famous for its unique decorated stucco and stone carved temples. It's a bit off the beaten path since it's located about 20 minutes north of Valladolid. From Playa del Carmen. In the state of Veracruz near the town of Papantla. A UNESCO World Heritage Site. In the state of Guanajuato, two sites making part of the "Tradición él Bajío": Plazuelas and Peralta. In the state of Oaxaca, a Zapotec site dating from about 500 B.C. A UNESCO World Heritage Site. Mayan city in the state of Chiapas, Palenque famous for its elaborate paintings. Also well known for having the largest tract of rainforest in Mexico located in the same area. In the state of Mexico, near Mexico City. Enormous site with several large pyramids. Mayan coastal city with spectacular Caribbean vistas. Dates from late Mayan period. Impressive Mayan city-state in the Puc Region, declared a UNESCO World Heritage Site in 1996. The United Mexican States (Estados Unidos Mexicanos), briefly Mexico (México) geographically is situated in North America, but in historical and cultural grounds is a Central American state. It is considered the world`s most populous Spanish-speaking country and it's the northernmost and westernmost realm in Latin America. The central part of the territory is the grassy Mexican plateau or the Mexican plain. In the central part of the flat lays the Mexican Basin with the state`s capital, Mexico city (Ciudad de México). The plateau is surrounded by beautiful glacier mountains, the Cordilleras which offer an unforgettable and breathtaking view of the region. In the south part of the country visitors should not miss to see the unique Gulf of Mexico which is absolutely fantastic. On the gulf`s bank lies the warm swampy flat named the Campeche Plain. Mexico also has a few beautiful rivers that are waiting for their visitors (Rio Grande, Rio Usumacinta, Rio Grijalva, Rio Balsas, Rio Pánuco etc). Visitors should not miss to visit Mexico and it`s fascinating world, a place where several treasures are hidden which are waiting to be discovered. There are over 40 official crossing points on the US–Mexico border. There are about 10 between Guatemala and Mexico, and two between Belize and Mexico. Most Mexican border towns are not places where many travelers have much reason to linger. Only Mexico City and Cancún receive direct scheduled flights from Europe, Canada, Central and South America and Havana, Cuba. Mexico`s tourism is characterized by diversity. Outside the Aztec and Mayan civilizations also a few other ethnic groups have created an advanced culture in the country. The state`s biggest cities are: Mexico City, Guadalajara, Monterrey, Chihuahua, Puebla, Tijuana, Acapulco, Leon etc. When you get to the Capital, you should not miss to visit Teotihuacán, the gigantic city in ruins that was the burial place of kings, and the famous Pyramid of the Sun and Pyramid of the Moon and also those many buildups that represent the vast knowledge of the culture at that time. Do not miss the Mexican museum in the Capital, of which detailed traversal needs to be planned at about six or eight hours. The collection that you can see here is unbelievably rich and provides such a comprehensive picture about that time`s cultures and about their high level and surely will remain a really nice experience of your journey. In today`s Mexico City the memories of the Aztec Empire live together in a close symbiosis with the buildings that originate from the era of Spanish viceroyalty and the modern skyscrapers made of glass. On the area`s north side we can find the monumental Cathedral with five ships which was built over 250 years. During this time next to the Cathedral the Urban Chapel was built which is an ornate example of the Spanish Baroque. Another attraction of the area is the National Palace and the building`s central side can be visited. In some streets in Mexico City there is an active life day and night because on the tarpaulins spread on the ground everyone sells something, for example cloth reading books, colorful necklaces made of bead, the casual vendors ensure that you do not have anyone with empty stomach. You can taste the Tacó and the crunchy tortillas. The typical street food is the Tamale. You should also go for a walk on the capital`s most atmospheric streets of Madero. On the remaining temples and palaces the former elegance is brought to life again. From the earlier remaining lakes a single piece is that of the Xochimilco which is not only the city`s most pleasant accent but the tourists` and locals` favorite picnic place. One of the country`s natural beauties is constituted by the Agua Azul waterfalls where hikers will find picturesque camps. There you can find simpler restaurants and drink stalls. The long stretch of waterfalls of the breathtaking Agua Azul and the temples and palaces hidden in the Palenque jungle provide a unique vision to any visitor. Barranca del Cobre is Mexico`s Grand Canyon where traveling is more exciting by train. While going by train 13 hours long between jungles, mountains and deserts you'll end up with an unforgettable adventure travel. Tasmania is one of the captivating island states of Australia that have a spectacular and unique landscape depicting discrete personality. The island has stunning scenery and posses great biodiversity representing rare flora and fauna unique to Australia. Tasmania is a perfect destination for nature lovers looking for adventure and fun. For travelers who love outdoor activities and appreciating for breathtaking natural habitats; Tasmania is the destination worth visiting. It has many spectacular mountains throughout while offering numerous trails for hikers. Australia's most mountainous state has some of the world's most challenging abseiling or rappelling opportunities. Whether you are just learning the ropes or looking for your next adrenaline rush you can head out on your own or with a guide. Discover Tasmania’s most popular attractions and experiences including national parks, historic cities and towns, quality produce and fine cool climate wines. Cataract Gorge Reserve, or The Gorge as the locals call it, is a unique natural formation within a two-minute drive of central Launceston - a rare natural phenomenon in any city. Today it's the most visited tourist attraction in Tasmania. Part of the Tasmanian World Heritage Wilderness Area and home to Cradle Mountain. The park covers more than 1260 square kilometres with stunning gorges, lakes, peaks, moors, and a vast variety of wildlife. The area includes Mt Ossa. Tasmania's highest mountain, and Lake St Clair, Australia's deepest freshwater lake. Flinders and its surrounding 51 islands are all that remain of the land bridge that once connected Tasmania to mainland Australia. Flinders is the largest of the Furneaux Group, which lies off Tasmania's north-east tip. It is an island of dramatic and varied landscapes, from the pink and grey granite cliffs of Mount Strzelecki and Mount Killiecrankie to the gentle, green farmland that rolls through the island. Two wild rivers - the Collingwood and the Franklin - hurtle through mountainous rainforest wilderness and merge as the Gordon River, which flows into the vast Macquarie Harbour on the west coast. King Island lies in the path of the Roaring Forties, the ever-present westerlies that circle the world's southern latitudes. It's an island of long, empty beaches and clean, fresh air, offshore reefs, rocky coasts, lighthouses and more than 70 shipwreck sites. Bruny Island Cruises conducts a full day tour from Hobart or one can join the cruise at Adventure Bay on Bruny Island. Spend three hours travelling in a fast jet boat sailing around Bruny Island's rugged coastline. Tasman Island Cruises do a three hour cruise of the spectacular coastal scenery and wildlife of the Tasman Peninsula. A family owned and operated company based in Launceston in Northern Tasmania.They offer fully guided day tours of world renowned Cradle Mountain and Freycinet National Parks, half-day tours of Launceston City and the Tamar Valley, plus evening tours to the Low Head Fairy Penguin colony.McDermott’s can also organise an itinerary to suit your requirements, be it a half day, full day or an extended tour or charter. National park offers excellent bushwalking, fishing and wildlife viewing of the island's more than 80 species of birds and native animals, including emus and wallabies that are frequently sighted. Take a trip back in time to when men laboured through almost impenetrable forest, mud, rain and treacherous landscapes to build a railway link between the copper mining town of Queenstown and the port of Strahan. Experience the excitement and history of Launceston's spectacular Tamar River from the comfort of our unique vessels. An informative commentary from our skippers will take you on a historical journey where you will discover the stories and tales that shaped Launceston and the Tamar Valley. Tasmania is easily the finest and unspoiled places to camp in Australia. Most of the areas of this beautiful island state has been declared as protected national parks and reserves. You have the option to choose either formal or informal camps. Formal camping sites are located in national parks and forest reserves managed by the Authorities. The informal camping sites are generally scattered all over the place but you need to check the entry restrictions at each camping site. Visit Tasmania and enjoy one of the world's great wild fisheries. You can either experience world-class fly fishing or an exciting game of fishing expedition in the Southern Ocean. You have many fishing locations to choose from remote beaches, to highland lakes to streams. You can fish from a remote beach to on a highland lake, or cast a line for bluefin tuna. Tasmania is an angler's paradise or holiday destination. You will find the best trout fishing in the world. You will have memorable wildlife watching in Tasmania, you may have the option to see many animals face to face or spotting wild life by flashlight in the night. Also, you will be able to spot a marine menagerie off the starboard bow. Tasmania has many rare plants and animals that are extinct in other parts of the world. Out of eleven Australian heritage sites declared by UNESCO, five sites are located in Tasmania. The five sites include Coal Mines on the Tasman Peninsula, Port Arthur, Cascades Female Factory in South Hobart, Darlington Probation Station on Maria Island, Woolmers and Brickendon Estates near Longford. Each of these sites have unique history and has best-maintained records of its history. Are you adventurous and have a valid driver's license, then why not explore the wilderness on a 4x4 wheel vehicle. This is the best way or the fun way to explore the wilderness of Tasmania. This will definitely give you a memorable touring excitement while going through forest tracks, remote beaches or rolling sand dunes. You can enjoy ever-changing and diverse scenery or terrain of Tasmania when you take a bicycle tour at your own speed throughout the uncrowded island. There are many cycle routes through widely changing landscapes connecting with the natural surrounding of Tasmania. It will really challenge your endurance and fitness. National Geographic magazine describes diving in Tasmania as a unique experience depicting lyrical beauty and fantastic. For the discerning traveler, Tasmania is the best place for diving and easily explore the diverse underwater wilderness or habitat for exotic marine animals and plants. You can also explore the Kelp forest in the Southern Ocean. The breathtaking coastline and clear, cool waters are excellent for diving in Tasmania. Visit Hobart Park and Clifton Beaches which are the best spots for surfing, you will come across big wave breaks that challenges your skills on surfing. You will certainly find a great surfing ride in Tasmania. So Visit Tasmania which offers everything you need for a pleasant, exciting and a memorable holiday. Many visitors to this beautiful inland prefer camping so that they could feel the unique and pristine environment. It gives many people the opportunity to explore wide variety of animals that live close by. Bird watching and wildlife watching are very popular in Tasmania and many tours are available as well. Tasmania is relatively unspoiled or clean, and has many peaceful trails or tracks and pristine beaches throughout. The striking feature of Tasmania is its rapidly changing climate across the island. You can enjoy snow on one side of the island and the within few hours you can explore the rainforest or sit on the warm beach in the next afternoon. Tasmania has a rich cultural heritage with vibrant community. Many artists converge to this beautiful island state, and numerous cultural centers are located in the cities. No wonder, Tasmania has become the home for artist who represent nine percent of the population. Explore Tasmania's five unique regions, there are many exciting activities and attractions on offer. You can choose the best touring option to suit your needs. Find out what you can do and see when you are in Tasmania.